Gwyneth Jones. Kindles, Nooks and iPads, Oh My! Implementing eReaders into your library program is about more than just jumping on the latest technological bandwagon or attempting to reinvent your library in order to stay relevant. It’s about good practice. Join Buffy Hamilton and Jennifer LaGarde as they discuss how eReaders have helped them provide students with a) access to the most up to date titles, b) the unique ability to efficiently link works of fiction with nonfiction resources and, c) the opportunity to interact with texts in ways that are simply not possible with traditional, library owned, books – all in an environment that both appeals to and enhances their skills as 21st century learners. Shelee King George. What's Working?, one of 34 activities in Peer Coaching, centers on a success analysis protocol -- a guided discussion designed to encourage reflection and a focus on replicating success. Is the protocol useful among educators generally? Can it be used well with students? Join us to discuss these and related issues, and see the latest videos from Shelee King George Productions! Anne Mirtschin. The recent scams and security leaks involving Sony Play Station brings to the fore, issues with online security. This session will be a general discussion amongst participants of personal experiences with any of these, ways to keep secure online and approaches to take when we are phished and scammed! Come join along and join in the conversations. If you can, bring examples of any phish, security or scams that you have come across or been involved in. Mary Risner. Part III of a 4 session series to introduce Latin American themes to encourage teachers to integrate area studies across the curriculum. Participants are invited to collaborate on a wiki that will share online resources and activities related to Latin America for classroom use. Jeff Magoto. ANVILL gives your students a platform for speech-based activities that go well beyond the classroom. Today's session will focus on what language instructors do to make those exchanges meaningful and lasting. 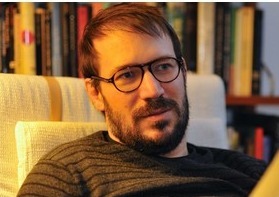 Tomas Chaskel. Integrarse y formar Redes sociales de investigación y docencia. Conocer herramientas que permitan mediar contenidos docentes, conocimiento y dictar cursos a través de Blogs de contenidos, aprenderán a subir contenidos y manejar el concepto de gagets y códigos incrustados Elaborar y compartir enlaces de documentos compartidos y a generar conocimiento en Red: Google doc, e integrar esta información y publicarla en el BLOG. Molly Williams. Join Molly for a student newscast. Kim Caise, Lorna Costantini and Peggy George. Classroom 2.0 co-hosts will lead a conversation about using technology tools and resources in the classroom. Rushton Hurley. Travis Allen created a video while in high school called "iSchool," (http://www.youtube.com/watch?v=68KgAcx_9jU) and has since become a powerful voice for how mobile technologies can change education. Learn more about his effort, the iSchool Initiative, by joining us for this Next Vista Digital Dream Team webinar. Mary Risner. Part II of a 4 session series to introduce Latin American themes to help teachers integrate area studies across the curriculum. Participants are invited to collaborate on a wiki that will share online resources and activities related to Latin America to use in the classroom. Steve Hargadon. Steve interviews Hugh McGuire, creator of LibriVox, the terrific crowd-sourced audiobooks service. Coach Carole. In this et@lking interaction, you will meet Debbie Nicol, an Australian expatriate of 15 years, currently living in Dubai. Curating her own business, www.businessenmotion.com Debbie deals with strategic corporate change, and learning and development initiatives. She works closely with an online, international corporate academy driving the corporate culture evolution, being an ambassador for the social constructivist approach to learning. Throughout her corporate journey, she realized an organization wont change until the very last person engages with it. Herein lay the challenge, whereby she discovered that traditional methods simply weren’t forging this engagement. The connection simply didn’t exist. Similarly nor did it exist in many personal lives, until the layers of distortion were removed. This was the impetus for the creation of a new personal and social development model called ‘embers of the world’ (www.embersoftheworld.com) , based around the framework of ‘Reflect, Connect – Collaborate, Innovate – Become’. With change at its heart, is ‘embers’ a concept to be taught, facilitated, connected with or simply ‘caught’? And to what level? It’s aiming for change on both an individual level as well as the UN level, so quite a spectrum. And how is technology being applied currently, and how will it in the future? Alison Saylor. Pam Moran and Ira Socol: From Scientifically-Managed to Community-Driven Schools. Tomas Chaskel. La penetración masiva de las redes sociales entre los jóvenes estudiantes de educación básica, media y superior las ha convertido en el principal medio de interacción social hoy en día. Los usuarios de estas redes invierten cada vez mas de su tiempo para compartir y transmitir información en estas redes. Deberían las instituciones educativas adaptarlas como una herramienta mas para detonar competencias? Como regular el uso apropiado de las redes sociales en la escuela? Están los docentes y la escuelas preparados para ello? Redes sociales en la escuela: Si o No. Maria Droujkova. Math Pickle is a professional development site for K-12 mathematics teachers. It uses videos to showcase fantastic problems that deserve to be in every classroom. Steve Hargadon. Join Steve for a conversation with Dale Stephens, creator of the 'Uncollege' social movement to support self-directed higher education. Dean Mantz. Join Tina, Barbara and Dean as we feature Michael Thorton from Meriwether Lewis Elementary school from Charlottesville VA. Come hear Michael talk about how he encourages life-long learning behaviors in his students and see example projects that demonstrate just how far his students can push the envelope of learning. Molly Williams. Join Molly as she hosts this student newscast webinar. Peggy George. You are invited to join this free virtual conference with a theme of “Connect, Communicate, Collaborate!” and our day will jump-start with two incredibly inspiring keynote speakers: Angela Maiers and Steve Farber on the topic of Passion in Teaching and Learning. The day is a combination of inspirational speakers and practical technology tools for classroom use and concludes with an outstanding panel of educational leaders: Steve Hargadon, Angela Maiers, Amy Sandvold, George Couros and Lisa Nielsen discussing “Now that We’re Feeling the Passion, What Do We Do Next?” We will also have a really fun “Smackdown” will take place at 12:45pm and we’d love to have you consider signing up to share your favorite Web 2.0 tool. A Smackdown is a fast and furious presentation that can be shared in a web tour in Elluminate. You will have 2-3 minutes to show and tell about your tool. The conference is FREE and virtual (hosted on Elluminate), so you can participate from home either alone or with friends. Registration is required to participate in live sessions or to access recordings and resources. Random drawings for “door prizes” will be held in selected sessions including books from our keynote speakers among other things. Maria Droujkova. Mathematical clowning is a growing phenomenon. Join "Bubblz" as she introduces her unusual profession! Jingshen Zhao. Learn To Be is a non-profit that provides free online tutoring to children in underserved communities. The Online Leadership Exchange is a meeting open to the public where leaders from the various University Chapters come together to share updates and discuss best practices. More information about Learn To Be is available at http://www.learntobe.org. Join me today, Thursday, April 21st, for a live and interactive FutureofEducation.com webinar with Barry Schwartz, author of The Paradox of Choice and Practical Wisdom . We will explore how can think about promoting and cultivating wise and moral action in an educational world increasingly dominated by discussions of "sticks and carrots," i.e., punishments and incentives. Barry Schwartz is the Dorwin Cartwright Professor of Social Theory and Social Action at Swarthmore College. He has been there since receiving his Ph.D. from the University of Pennsylvania in 1971. He has written 11 books and more than 100 articles for professional journals. He is a fellow of both the American Psychological Association and the Association for Psychological Science. The Paradox of Choice: Why More Is Less was named one of the top business books of the year by both Business Week and Forbes Magazine. The book explores how too many choices can paralyse people into inaction and cause them to be dissatisfied with even good decisions. The themes of his newest book, Practical Wisdom: The Right Way to Do the Right Thing , with co-author Kenneth Sharpe, are outlined in the following TED talk video. I received an email this evening from a participant in my half-day workshop, "GeoApps for Learning: Google Maps and Google Earth," which I presented in early March at the Heartland eLearning Conference. He is running into trouble getting his students to add images to their shared, custom Google Map. These are a few tips I sent him. Custom Google maps are created by clicking MY MAPS on maps.google.com after you login to the site. First, make sure you setup your Google Map for collaboration / shared editing. If you don't have the map set for everyone to edit it, you'll need to add each student by email address (using the same email they use for their free Google Account) so they can have edit rights to the map. 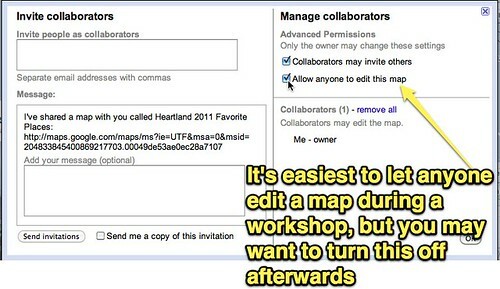 Click the COLLABORATE link on the map to change these settings. 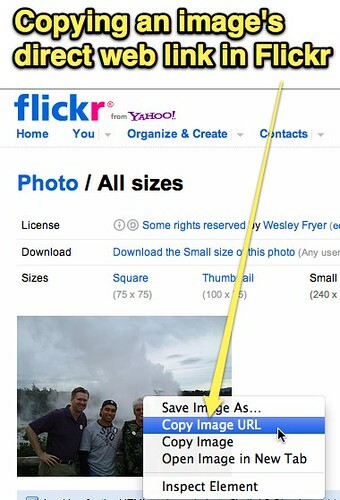 The image you want to add within a placemark in Google Maps needs to be saved somewhere online so you can add it by web link. Google Maps doesn't provide image hosting, like Google does for other services like Google Sites and Google Docs. You add the image with it's direct link, starting with "http://" and ending in ".jpg" You'll want to copy that image link FIRST before trying to add it to the map. 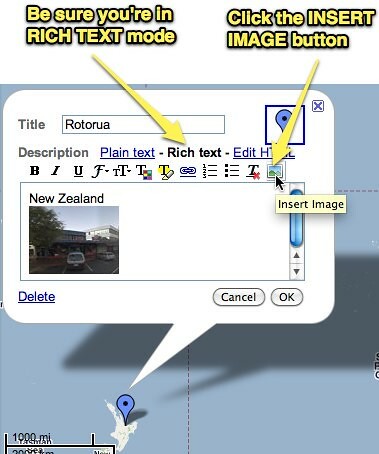 Once you (or a student) clicks EDIT on the map, make sure you're in RICH TEXT mode and click INSERT IMAGE. The image should then appear in your placemark. Click SAVE and DONE when you finish editing. That's it! This is the collaborative map workshop participants and I created during our time together at Heartland eLearning. 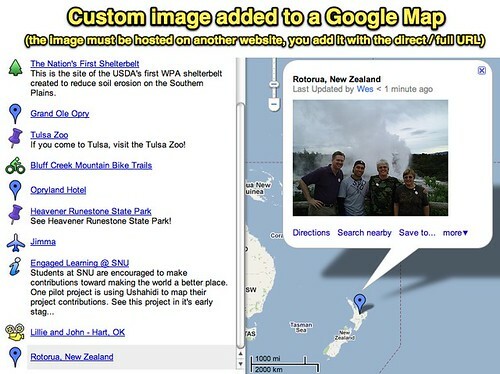 Collaboratively edited Google Maps like this are a great way for students in one class or different classes to cooperatively add links as well as rich media content (images and YouTube videos) to a project. I love geography, maps, and Google Maps! Creating shared maps like this is a super way to "talk with media." As the Social Learning Consultant for Elluminate, I've had a terrific two-year, full-time association with a company I have loved and a product I deeply believe in. But change inevitably comes, and the acquisition of Elluminate and Wimba by Blackboard last year has freed up some of my time, since Elluminate's community marketing efforts are largely being absorbed into the larger Blackboard family. While I'm still working part-time for Blackboard on LearnCentral.org's community management (including the close-to-my-heart "Host Your Own Webinar" program), I'm now branching out and looking for additional engagements and sponsorship. I've created a website for this purpose at http://www.Web20Labs.com, where the different community-based projects for education that I've started are listed: including the award-winning Classroom 2.0 network, Future of Education interview series, and Global Education Conference. All have at their heart collaboration, openness, and conversation--reflecting my strong belief that participation and engagement in education and specifically in professional development are not just important, but crucial. I hope you'll visit http://www.Web20Labs.com to give me feedback or to reach out and partner in some way. You can also learn more about what I do at http://www.SteveHargadon.com. You can reach me by email at steve@hargadon.com or using the contact form at the Web 2.0 Labs site. If I've made a difference for you personally or professionally in some way and you'd like to contribute a public letter of recommendation, those are also most welcome! I'm so very appreciative of the work that I've been able to do the last two years at Elluminate. I've been able to work with great people on projects I really believe in, to help people learn about the value of online "synchronous" activities, and to play a role in helping many regular folks hold those activities for free. It's a tremendous organization that has let me represent the company and their product to our community, and our community to them. So, three big cheers for Elluminate, and here's hoping for future opportunities to make a difference in the education world. Join me Thursday, April 14th, for a live and interactive FutureofEducation.com webinar with Jerry Mintz, a leading voice in the alternative school movement for over 30 years and the founder of the Alternative Education Resource Organization (AERO). In addition to several appearances on national radio and TV shows, Jerry’s essays, commentaries, and reviews have appeared in numerous newspapers, journals, and magazines including The New York Times, Newsday, Paths of Learning, Green Money Journal, Communities, Saturday Review, Holistic Education Review as well as the anthology Creating Learning Communities (Foundation for Educational Renewal, 2000). 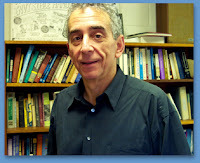 Jerry was also Editor-in-Chief for the Handbook of Alternative Education (Macmillan, 1994), and the Almanac of Education Choices (Macmillan/Simon & Schuster, 1995). 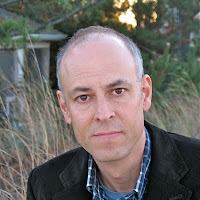 He is the author of No Homework and Recess All Day: How to Have Freedom and Democracy in Education (AERO, 2003) and is editor of Turning Points: 35 Visionaries in Education Tell Their Own Story (AERO, 2010). Join special host Alison Saylor on Tuesday, April 27th, for a live and interactive FutureofEducation.com webinar with Pam Moran and Ira Socol on the shift from scientifically-managed to community-driven schools. This webinar is sponsored and coordinated by TIE Colorado. Background Information from the speakers: Educators face a multitude of barriers in their efforts to support contemporary learners - changing learning demographics, decreased funding, increased high-stakes everything, the most rapidly changing communications technologies since at least the 1840s, and little to no professional practice learning time. The scientific management system we use in educational leadership today tends to bring us consistently to the four failures of information learning and applied action identified by the 9/11 Commission Report: failures of management, imagination, policy, and capacity. We fail to properly use our people and resources. We fail to imagine both what is possible and what is likely. We fail to create adaptive conditions which can respond rapidly to changing circumstances. and we fail to create either the human or technological capital necessary to meet oncoming needs. What is the cause of this cycle of failure? How can we change? We structure everything we do in schools and departments through a 20th century scientific management model that has led to the current industrial school approach permeating all that education is today. Educators continue to work in egg crate environments, isolated from each other even though they all simultaneously need to be learners, leaders, teachers and decision-makers. The current scientific management system fails students, teachers, and administrators despite our attempts to address problems generated within the industrial school model. These problems won't disappear until we transition into a model that changes the way we manage, use policy, build capacity, and imagine differently for today and tomorrow. We know the silos of departments, schools, and classrooms work against the natural human inclination to work together to solve problems, share ideas, work for the good of the community, and nurture the next generation into the work and play of the community. The "Age of Reason"/"Industrial Revolution" system of scientific management system accomplishes exactly what it was intended to do one hundred and thirty years ago - high dropout rates, gender-differentiated pay, widget-learning, and Theory X leadership styles. We'll challenge the old scientific management model in use today and bring forward for discussion a contemporary community-driven mindset that pushes our "what if" thinking about the topics of management, imagination, policy, and capacity. We see "what if" thinking as leading away from tiered hierarchies, isolated work, cookie cutter solutions, and dis-integrated decisions. Instead, "what if" thinking can lead to educational communities that function together to make decisions that respond to real needs within the community, gives voice to community members in new and powerful ways, and change teaching places to learning spaces. We'd like to consider with the audience how decisions are made to select and use learning tools and technologies,set-up professional learning, structure class activity and teach learners; keeping in mind that the system we use today is one we created and also have the power to change, a few voices at a time. Pam Moran and Ira Socol bring differently diverse backgrounds to the conversation about leadership in contemporary education. Pam, the Superintendent of the Albemarle County Public Schools in Virginia has worked in every level of K-12 education, teaching science in high school and middle school, serving as a secondary assistant principal and an elementary principal, and as adjunct faculty for the University of Virginia. She has led curricular and professional development, and now supports a 13,000 student school division covering 726 square miles. 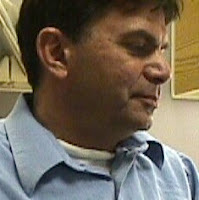 Ira, a research and teaching assistant in the College of Education at Michigan State University, has worked in law enforcement, architecture, art and design before becoming a leader in technological services to those with special needs, working in universities, K-12 schools, businesses, and vocational rehabilitation services. His research explores both the re-design of educational institutions with Universal Design technology and the history of education and technology, research which is done and presented globally. 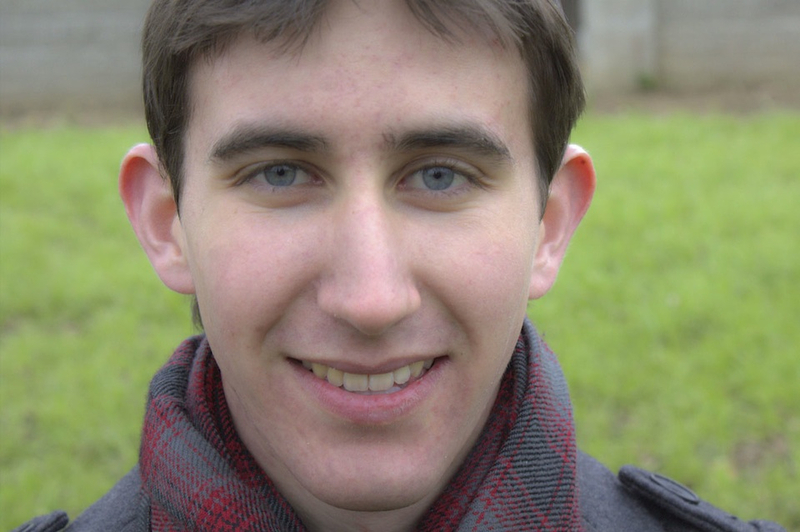 Though Moran’s experience as a student was continual success, and Socol struggled through school as a special needs student, both have come to understand that the system design of the American school fails far too many children, and that real change, real reform, requires both new paradigms of leadership and new understandings of the process of learning. Moran works in leadership roles in Virginia and national organizations, Socol through Michigan’s technology leadership program and conferences around the nation. The two have combined to begin rethinking top to bottom leadership in schools, working in part from the historical viewpoint that the post-industrial, post-Gutenberg age needs to reconnect with the human leadership forms which dominated previous ages, just as many of our communication skills now must look to models which existed prior to the invention of the printing press. The inside-out and outside-in perspectives brought by these educators are unified through interactive storytelling, co-facilitated conversations which lead to direct change actions which begin to shift schools and classrooms from traditional environments to contemporary learning spaces. They believe that educators who think, laugh, dream, create, design and build together will accomplish deep change with agility, commitment, and understanding within their own school communities, moving teachers away from the teaching wall as the dominant form of instruction, engaging learners in passion-driven, project-based learning work, and using the communications technologies of the present and future to re-write the rules of access, inclusion, and connectivity. Coach Carole. There are quite a number of ways in which you can learn to be an online facilitator. How did you learn? What would you share with teachers who are new to the role of e-facilitator? How would you support Let's explore the strategies, best practice and courses available for learning about efacilitation. If you’d like to present for a few minutes on how you teach new efacilitators, please contact me or simply join us on the day, them in their learning journey? Maria Droujkova. Join Keith Devlin in a question and answer session about his mathematics game development, and the new book, Mathematics Education in a New Era. Coach Carole. The topic will be ‘How to use Elluminate in conjunction with Moodle for Online courses’. It will cover how to set up an Elluminate room, upload your slides and how to give your students access to the link before and recording after. Michael Gwyther from Yum Productions (http://www.yum.vic.edu.au) will be running the session as he holds a Black Belt in Elluminate and is knows how to run engaging sessions. If you are a Moodle user, come on in and join in the fun and support a local Melbourne Moodle community of practice. Mary Henton. Are you looking for fun way for students to demonstrate what they have learned using technology? Scratch Animation is a free tool that allows students to express themselves through presentations, cartoons, and even video games. Come learn how virtually any subject can be taught through Scratch. This webinar will include the "basics," additional resources, and a brainstorming session for this wonderful software produced by MIT. Sandy Hirtz. Soon to be released, Education for a Digital World 2.0: Innovations in Education embodies an interactive and collaborative model of writing and publishing that demonstrates the powerful opportunities afforded by online technologies, innovative thinking, and cooperation around the world. The first edition, Education for a Digital World: Advice, Guidelines, and Effective Practice from Around the Globe was published by the Commonwealth of Learning and BCcampus in July 2008. These collaboratively authored books represent a shift in how educators are sharing their research, experience, and best practice in blended and online teaching and learning. Facilitated completely through virtual interactions, this new model of authoring went beyond writing and editing to become an international effort in community building and professional growth. Join this presentation to preview the book and chat with the authors. Steve Hargadon. Steve Hargadon will interview Karl Speak on his book, Be Your Own Brand. Coach Carole. Join this webinar and discuss the iPad/Flip camera project at Upper Yarra Community College. Maria Droujkova. The ASSISTments Platform ASSISTS students in learning while it gives teachers assessMENT of their students' progress. The ASSISTments platform is a generic system for any subject from math to English to science. Different researcher teams have funding to build libraries of content in ASSISTments. Currently ASSISTments is best known for the mathematic content inside of ASSISTments, but increasingly individual teachers are using ASSISTments to write their own content which they can share with the other teachers. More than half of the questions in ASSISTments have been built by teachers, and that number is growing fast. Margaret Keane. Tim Dracup, Gifted Education Consultant, looks at how countries are serving their gifted population worldwide. Kimberly Lightle. Science and literacy instruction in the elementary grades is the focus of a new series of web seminars for the 2010-2011 school year. The series is sponsored by Beyond Penguins and Polar Bears, an NSF-funded project that provides professional development and instructional resources to elementary teachers Best practices and creative approaches in vocabulary development, with an emphasis on science vocabulary. Steve Hargadon. 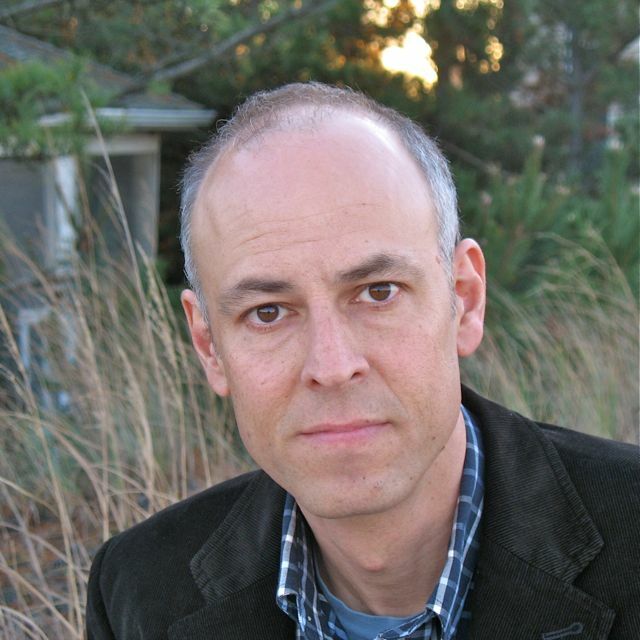 Steve Hargadon will discuss "Education Revolution" with Jerry Mintz. Kim Caise, Lorna Costantini and Peggy George. Join us as guests Kim Flack and Joanne Henning share about the multimedia project they designed featuring free interactive adventure games set in different eras of U.S. history titled 'Mission US'. 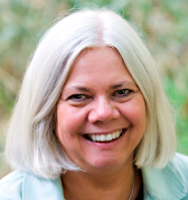 Sharon Peters is helping to organize the Global Issues Service Summit (Africa), and we're glad to help her to broadcast the conference events live through Elluminate (now Blackboard Collaborate). The schedule is below these notes. The AISA Global Issues Service Summit Africa 2011, hosted by the American International School of Mozambique, is the second of its kind to combine the frameworks of the Global Issues Network (GIN) and the Service Summit Africa. It is a unique conference that provides an enriching and interactive experience for students and service leaders from all over the world to discuss the problems and strategies associated with sustainable solutions to local and global needs. Students will present workshops on the sustainable service projects that they have developed in their respective communities. Sharon says: "We are expecting students representing 41 different countries at the event. Our keynotes include Graca Machel (the wife of Nelson Mandela) and Sra. Guebeza, the first lady of Mozambique. We have a number of other notable young men and women who are doing amazing work in the area of global issues and service learning." Sharon is organizing the media events, providing the tech support, and overseeing the student press corps--they will be covered by the BBC and the local TVM television station during the conference. Join me Thursday, April 7th, for a live and interactive FutureofEducation.com webinar with education consultant Bernajean Porter as we discuss how local communities can hold an event, or events, to chart the future of education for their students. Specifically, we'll talk about the "Future Search" planning methodology to do this. With over thirty years of experience as an educator, Bernajean Porter's presentations, seminars and project work reflect extensive, practical experience in community future searches, technology planning / evaluation projects, TLCF grants and large scale projects with over 2000 districts, regions, and state departments throughout the United States and overseas. She participated in 1997 President's Technology Initiative, NSF-DoDEA Hanau Models School overseas project and is presently adjunct faculty for Lesley College's Masters program for Curriculum and Technology. She recently developed the IL Technology Planning Blueprint and IL NextSteps assessment toolkit with Illinois' state-wide leadership team. She is author of Grappling with Accountability 2002: MAPPing Tools for Organizing and Assessment Technology for Student Results and Assessing Technology for Student Resultsand Evaluating Student Computer-based Products. Along with having a comprehensive understanding of the field of education technology, her skills as a highly trained facilitator, organization developer and large scale project manager give her work with change a unique, catalytic validity. Her work uses the application of systems thinking and chaos theory to deal with the challenges of the change and re-culturing efforts in education today. "Future search is a PLANNING MEETING that helps people transform their capability for action very quickly. The meeting is task-focused. It brings together 60 to 80 people in one room or hundreds in parallel rooms. Future search brings people from all walks of life into the same conversation - those with resources, expertise, formal authority and need. They meet for 16 hours spread across three days. People tell stories about their past, present and desired future. Through dialogue they discover their common ground. Only then do they make concrete action plans. The meeting design comes from theories and principles tested in many cultures for the past 50 years. It relies on mutual learning among stakeholders as a catalyst for voluntary action and follow-up. People devise new forms of cooperation that continue for months or years. Future searches have been run in every part of the world and sector of society."